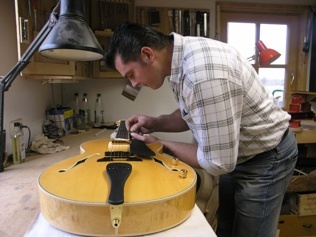 After finishing his training as a luthier at the highly renowned German guitar workshop 'Stevens Guitars' Joe Striebel got an award as the best German newcomer in building guitars. The examination for the master diploma was passed with distinction. 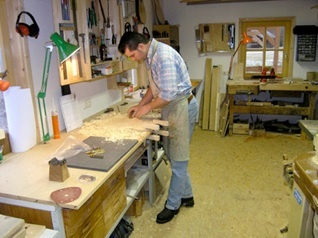 Every instrument is completely handmade! You can chose out of different woods and specifications. 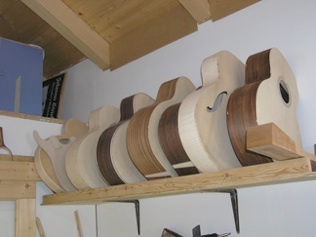 It will be a pleasure for me to develop your dream guitar! Give me a call!